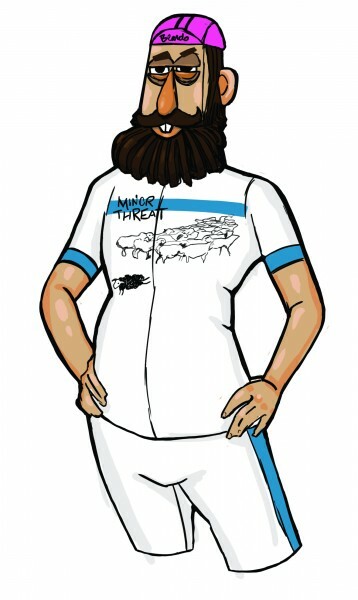 One of the questions we answer all the time is what do you wear when cycling on a bike tour? Do you wear cycling shorts? And when they hear our answer, they raise their eyebrows and ask if we ever have sore arses. We don’t wear lycra or padded shorts while touring. We don’t care what anybody else wears. If you want to wear lycra- go for it. We sometimes wear padded shorts on our mountain bikes and when we used to race – we both wore lycra. So what do we wear, day after day, when we tour? Jay only had one pair of shorts he cycled in for the whole year: MUSA shorts by Rivendell Bicycle Works with merino wool boxer briefs underneath – Smartwool, Ice Breaker or MacPac. Favorite: Ice Breaker. For socks he alternated between two pair of DeFeet Woolie Boolies. 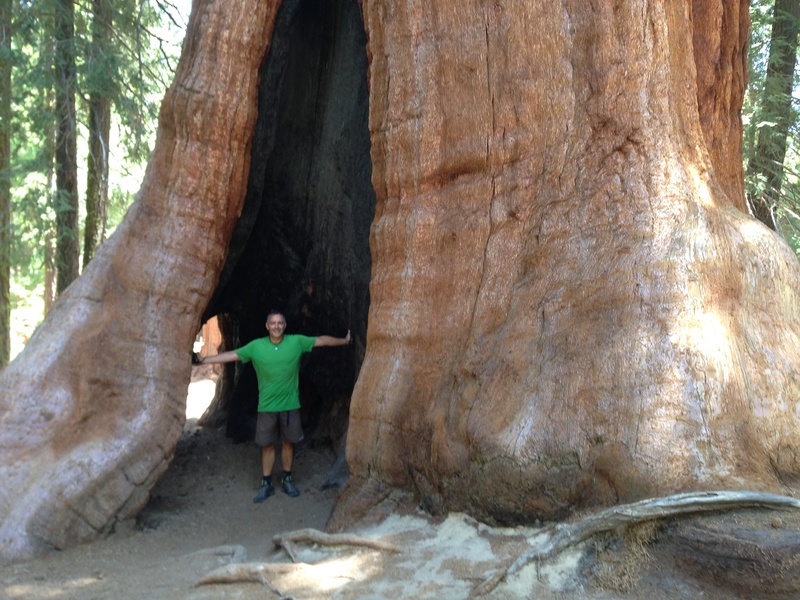 Showing of his bike gear in a very large tree. Janet used two pair of capri pants from Columbia – on hot days she rolled up the cuffs to make them shorts length. Underneath she wore one of three pair of Patagonia quick dry underwear. She avoids cotton underwear on the bike because the seams can be abrasive and they tend to get funky (enough said). For her everyday riding top Janet alternated between a Merrell quick dry shirt and a North Face thin cotton T. She used a Nike sports bra. Just one. Each night she changed into a cotton bra and rinsed out the sports bra. 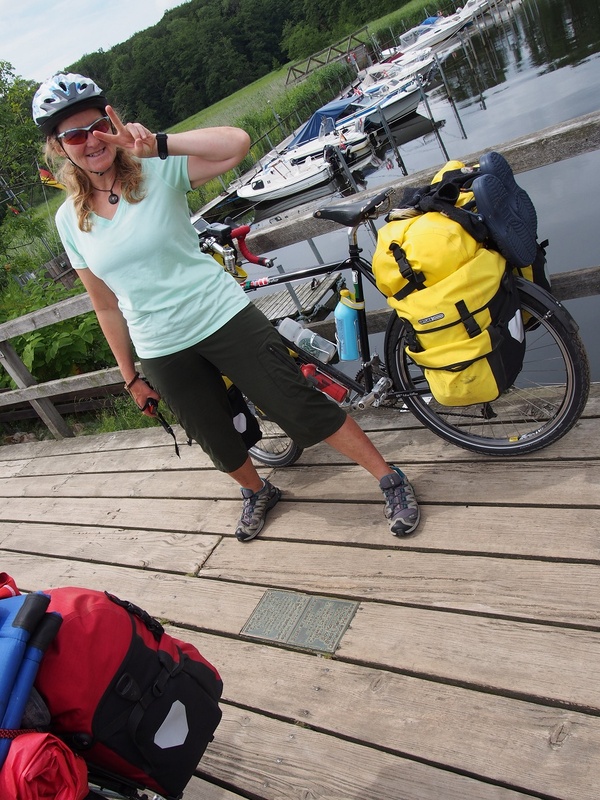 Janet’s typical riding outfit on the Danish/German border. Side Note: Both of us already had all of our riding clothes in our closets before the trip. Most were purchased on sale or at outlet stores and were used as everyday clothing. Be sure to wash your “underwear” layer every day. This is important to maintain hygiene and prevent saddle sores. There were many days when we were flying our “flags” as we dried our laundry on top of our back rack while we rode! 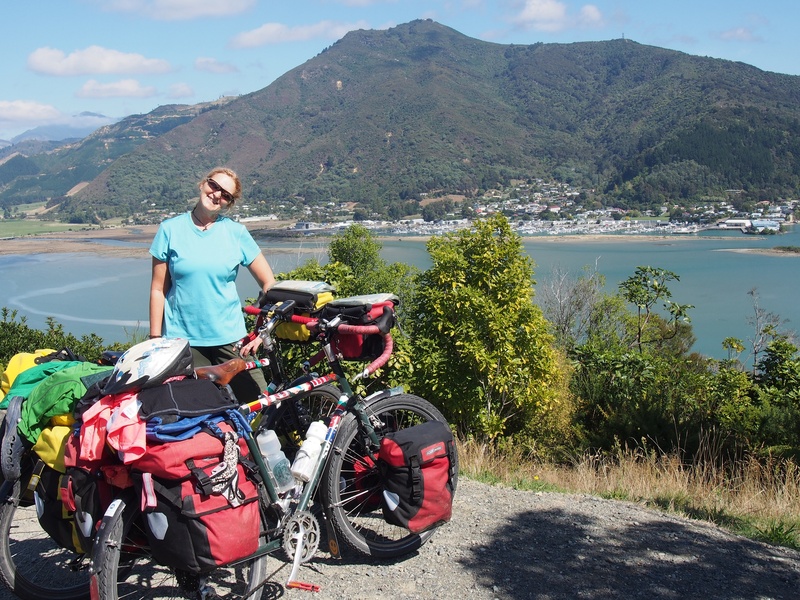 Flying our flags – laundry on the back of the bikes in New Zealand. You can spend a lot of money on specialized clothing for bike riding – but we don’t find that necessary. While on tour, don’t spend time worrying about what others think of you – go with what works best for you. After all, it’s your tour. 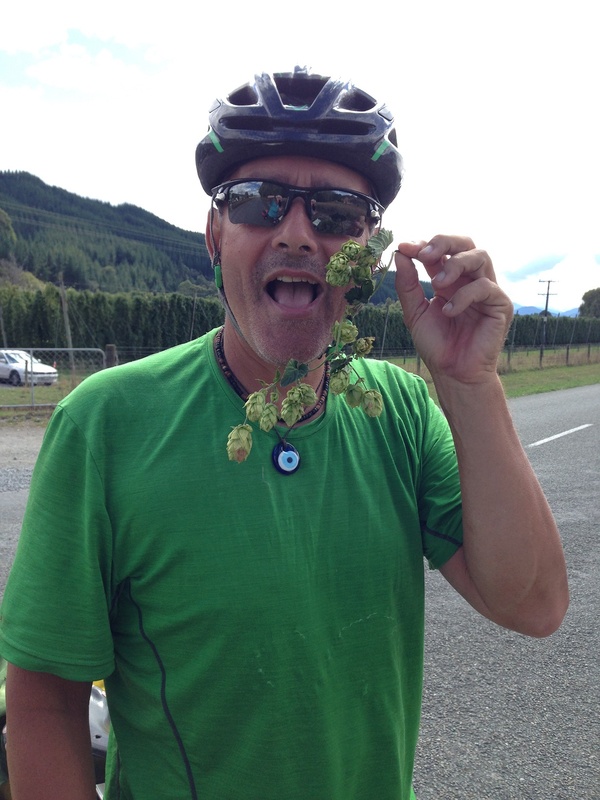 Yum, hops in New Zealand.